As a nation we genuinely have our priorities misplaced. We are spending millions upon millions of dollars attempting to prevent people with Ebola from entering our country. Don't get me wrong, Ebola is very frightening and we are not well prepared to fight this deadly infection. And we had that one very well documented, reported and investigated case of a man from west Africa dying in Dallas, Texas. Meanwhile tens of thousands of young Americans are dying every year due to gang and gun violence in virtually every American inner city and pocket of poverty. Many, many are completely innocent, guilty of only being in the wrong place at the wrong time. And many, like Laylah Peterson, are just children. Laylah was shot and killed last week while sitting safely on her grandfather's lap in their own home in Milwaukee. Two men fired shots into the house, for some unknown reason, and shot the child. Laylah was white and the shooters allegedly were black and some are claiming this was racial violence. I'm pretty certain the reason doesn't matter. If you want to write this off to racial violence, I'll be happy to post the story of a black four year old girl shot the day before in nearby Racine, Wisconsin. Here the shooters were also black. Race doesn't matter. That fact is that deaths from Ebola here in the United States will be rare. Yet by the time I finish writing this blog entry another child, perhaps two or three, will be dead from the massive violence right here in America. You probably know all the steps we are taking to prevent Ebola, airport screenings, triage centers, CDC edicts, hospital preparedness and more. We even have an Ebola Czar. What are we doing to end youth violence in our inner cities? On a Federal level virtually nothing. Not a damned thing. Unless the victim is black and the shooter is a white policeman (or neighborhood watch patrolman), you are unlikely to hear a peep from the President or the U.S. Attorney General. Again, this isn't about race, it's about priorities. The greater St. Louis area is preparing for riots and an eruption of violent protests this week when the Grand Jury might possibly fail to indict patrolman Darren Wilson who fatally shot eighteen year old Michael Brown in Ferguson, Missouri. "Hands up, don't shoot." 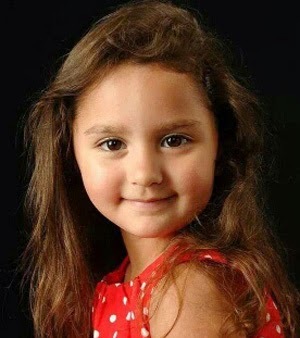 Do you suppose if little Laylah had raised her hands, they home invaders would have held their fire? In Milwaukee there are no protests, there are no riots and there will be no violence over the murder of a 5 year old girl. Police have few leads and there have been no arrests. There isn't even a person of interest. The FBI isn't there and neither is the justice department. But by tomorrow there will be one or more similar murders in the same Milwaukee neighborhood. And by next weekend there will be more. My personal hero today is Milwaukee District Seven Alderman Willie C. Wade. Alderman Wade is walking his district alone, knocking on doors, looking for a lead as to the identities of the shooters who killed five year old Laylah in cold blood. He is hoping that his constituents will talk to him, a black, a trusted friend, when they might not talk or "snitch" to the police. The embedded link to the in depth story of Laylah's murder and the on-going investigation is from UK's Daily Mail. It is curious that the very best, most detailed, news articles about events here in the USA came from Great Britain's newspapers. I have found an ego-centrism in US Media that can be shocking when living abroad. The things which seem to matter, reporting-wise can be a conundrum. I have been really enjoying the more adult conversations that occur up north. Willie Wade isn't going to do anything useful to address the problem of black violence, because that's what the problem is. It isn't guns, it isn't police attitudes, it isn't racism, and it isn't poverty. The U.S. media isn't interested in black violence because it doesn't fit their template, so they ignore it.